Stop by Bandar during the Taste of Gaslamp! Visit Bandar for the chance to try for yourself a taste of our acclaimed Persian cuisine! 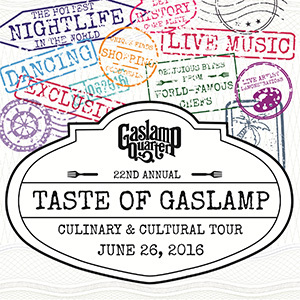 The 22nd Annual Taste of Gaslamp will be taking place on Sunday, June 26th from 1:00 to 4:00 pm. Visit TasteOfGaslamp.com to purchase tickets online, or purchase tickets on the day of the event.